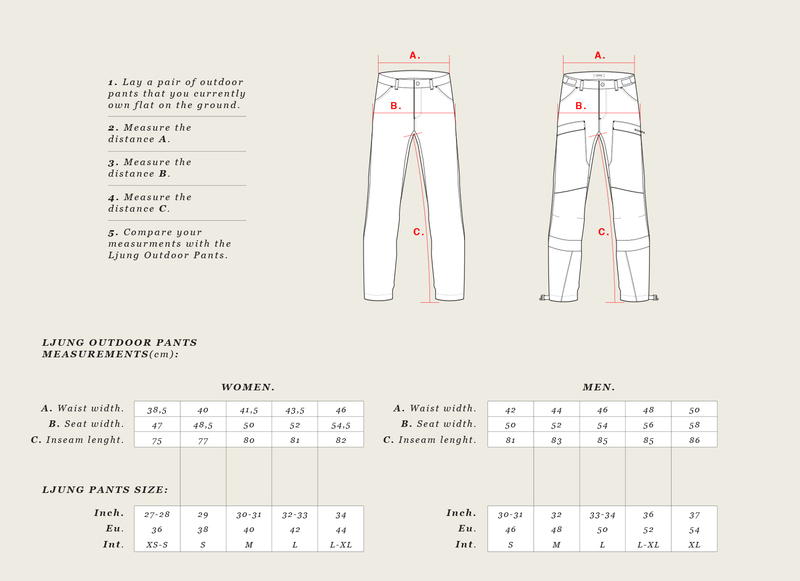 How to find your size ⋆ NORRA. COMPARE THE LJUNG OUTDOOR PANTS WITH A PAIR OF PANTS THAT YOUR ALREADY OWN. 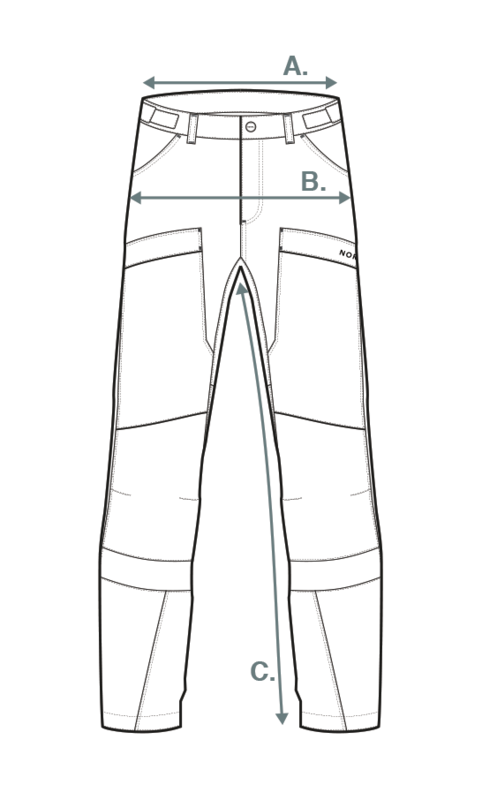 We recommend that you compare the measurements of a similar pair of pants that you own, with the measurements of the Ljung Outdoor Pants. You can find the three most important measurements below. TRANSLATED TO THREE SIZING SYSTEMS. TWO FITS: MALE AND FEMALE. The Ljung Outdoor Pants comes in two fits; male and female. Both fits have the same design, features and materials. This means that if you feel that the male fit is to big you could definitely go for the female fit and vice versa.